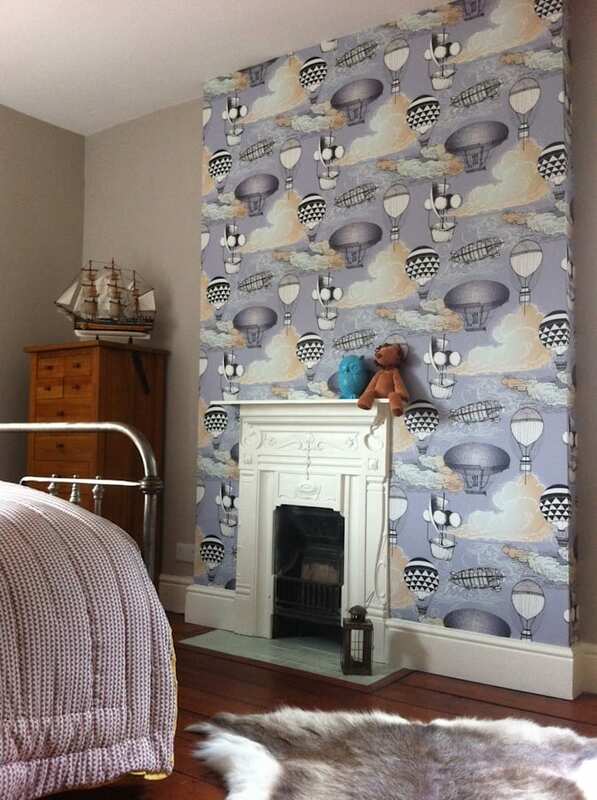 At Kate Usher Studio, we strive to create innovative and exciting wallpapers for interior spaces which cater to the needs of both style savvy adults and their fun-loving children. We believe in bridging the fantasies of children and the tastes of adults to achieve a more liveable, creative and unique family home. 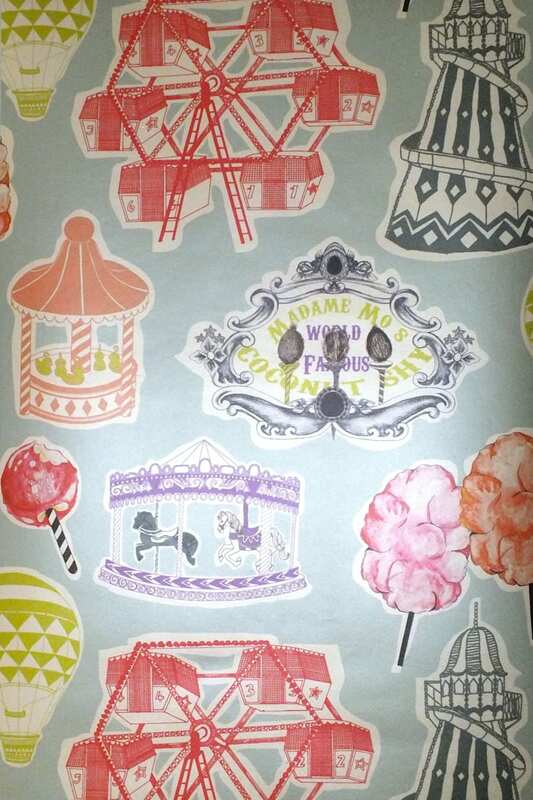 All of our children's wallpapers have a unique theme based on fantasy or nostalgia and are hand drawn in our studio. We also create bespoke designs for individual clients who are looking for something a little more unique. 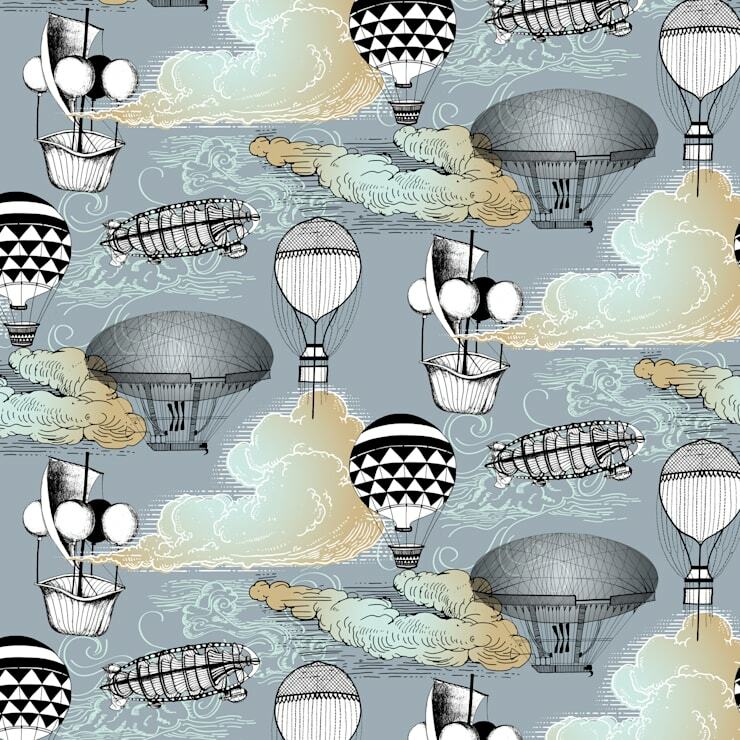 This nostalgic design is a hark back to early attempts of flight. Inspired by a current resurgence of steam punk culture, thanks to films such as The Golden Compass and Hugo. It references both historical and fantastical flying machines which use only the power of steam, weaving in and out of a smokey sky-scape. 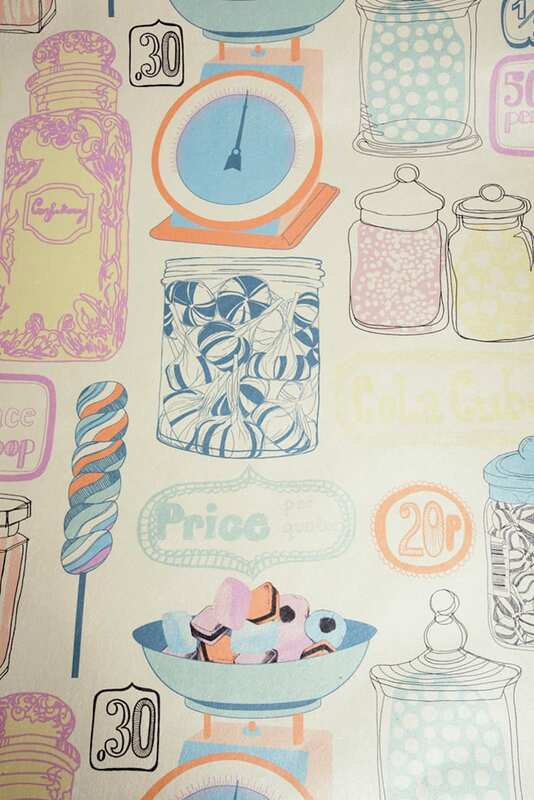 Oh Sweetie wallpaper is hand-drawn and digitally printed pattern inspired by vintage sweet shops and candy colours. 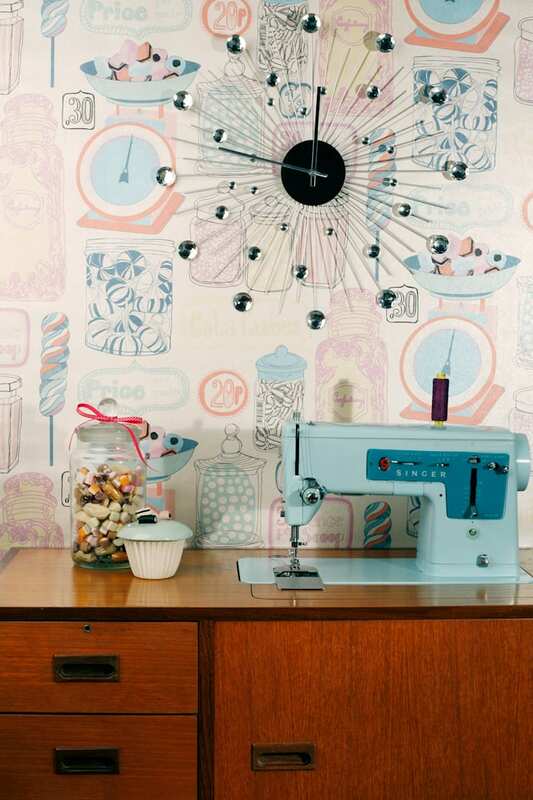 This best-selling design which recently featured in Living Etc magazine, makes a perfect feature wall for a girly bedroom or retro kitchen.